Gingerbitz, an eat-in bakery launched on Elm Street more than four years ago by a New Canaan couple, is to close Friday. “I’m always willing to meet with anyone and offer what I can to anyone considering opening a business,” she said. 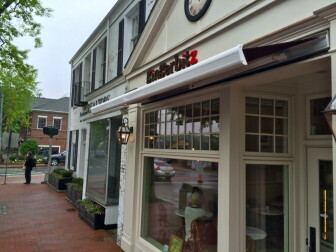 The Zuckerts continue to operate a small shop out of a commercial space on Hope Street in Stamford and they’re actively looking to find a new space for Gingerbitz in Westport, Andrew said. “We are looking for a town that has got a little more traffic,” he said. Karen said she is hoping to take Gingerbitz’s employees with her to the future location. “I know that a lot of my customers are very fond of the people who worked for us,” she said. The Zuckerts said they have the ability to continue operating Gingerbitz through August in the space at 155 Elm St. but decided against it given the regular slowdown in the summer downtown. Packaged merchandise at Gingerbitz is 40 percent off this week at the New Canaan store. Karen Zuckert will continue to do custom baking and those seeking to place an order can reach her at karen@gingerbitz.com or 203-801-0281. The business’s website is under construction and will be finished soon at http://gingerbitz.com. They have the best coffee in town! Had they been open early in the a.m. for commuters and town business employees they might have done better. They were never open on my way to work and would have loved a cup. If you get a chance before they close – treat yourself ! “There is just not enough business in town to keep going…”. This establishment was NEVER open. How can they be closed on a Sunday and expect to be successful. Please don’t put blame on the town. This is entirely your fault as a business owner. I am so sorry to see them close the shop. They will be missed. 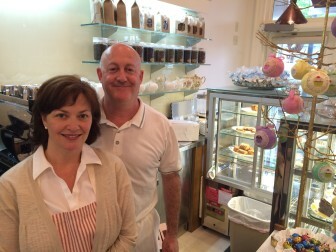 As for the times they were open…..a New Canaan family running a sweet shop in New Canaan, I am impressed they stayed true to their family values. Owning your own business is so challenging…..try it sometime and you will understand more. I wish them well in Westport and I will definitely visit their new shop. They will be missed. They made us a custom cakes and cupcakes for special occasions. Always original and very tasty. I second the opening times comments. If I want a cup of coffee any day of the week I’m looking for it between 5 and 8 or 9 am- they don’t even open till 10! Don’t serve coffee and expect those who need it in the morning to be loyal if you can’t provide. In addition to great food, they did create something special for New Canaan and that is community. They will be missed!! To the reader who submitted comments on this article under the usernames ‘Alex Griffs’ and ‘Jennifer Wilsons.’ I see that the comments came from the same IP address, and when I emailed the addresses you attached to each comment, they bounced back as undeliverable. We require not only real-looking names but also verification that people are using full first and last names. Feel free to call me to discuss, cell is 203-817-1278. Thank you. So so sad to see them go! It was such a beautifully curated and a special place — with caring owners who truly loved their customers. Really added to the charm of our town. Will be sorely missed! I agree with Allison-such a lovely store! 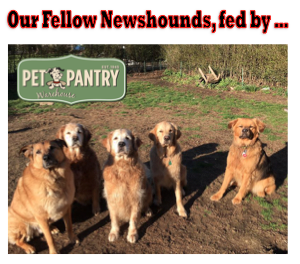 Our favorite in town! We’ll follow wherever they land next as my boys love Mrs Karen’s birthday cakes! So sorry that you are closing on Friday; I was planning to come there on Saturday with my grand daughter for another birthday treat for her. Last time, she loved it. Thank you for submitting your comment, Eileen. This article is from last summer. Gingerbitz closed in June. I am pretty sure Karen still sells her baked goods at Beanz on Hope Street in Springdale. Try reaching her at the email above.